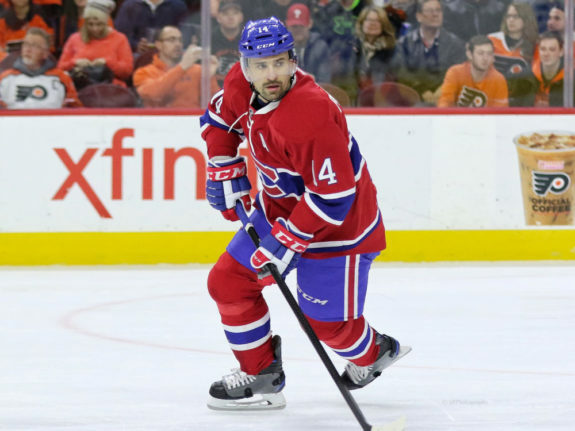 Montreal Canadiens forward Tomas Plekanec looks primed to debut this season and inch closer to his 1,000th career game. Now at 998, he needs just two to reach the high-water mark and 19 to hit 1,000 played with just the Habs, which would put him in pretty exclusive company with just five Habs greats. It’s been a long road for the soon-to-be 36-year-old with the Habs, which almost ended as soon at it began. 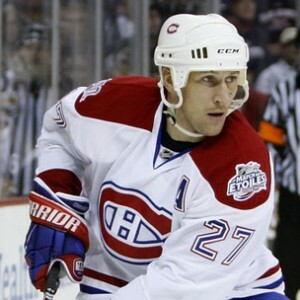 During his debut 2003-04 season, in which he played just two games, Plekanec was reportedly almost included in the trade for Alexei Kovalev with the New York Rangers instead of Josef Balej (who didn’t have as successful of a career). The 2009-10 season was a noteworthy one for Plekanec as he reached 70 points for the first and only time in his career. His point totals would infamously bounce up and down every season, as his inconsistency from a production standpoint became somewhat of a hallmark, but not as much as his turtleneck. One thing that has only risen (and not relative to his neckline) over his career is obviously his total number of goals, the 100th of which came during that season on March 25, 2010 against the Florida Panthers. It wasn’t an especially memorable goal, as it was a go-ahead empty-netter late in the third period, but, hey, it still counts. We’re at 232 and counting for the record. The typical Habs fan would probably be surprised by the number of times Plekanec has scored four points in a game. It’s happened eight times, but only once did he score a hat trick (to go along with one assist). That magical night came on Feb. 29, 2008 against the Buffalo Sabres. Plekanec’s three power-play markers helped pace the Habs to a 6-2 win. To put it in perspective as to how long ago that game was, Kovalev assisted on each of the four goals in which Plekanec had a hand. Plekanec’s assist came on Andrei Kostitsyn’s 19th, which helped the enigmatic winger reach 20 for the second consecutive season en route to a super-successful career with the Habs just as everyone had anticipated. His brother Sergei also scored in the game, on a goal assisted by family friend forever Mikhail Grabovski. And, oh, yeah, Carey Price was also a rookie. Plekanec will never be accused of being a big-time goal scorer. That’s proven by how he hasn’t scored three in a game since. He was always criminally underrated in that department, as he’s authored seven 20-goal seasons. That 2007-08 campaign was the only time he flirted with 30 though, as he fell just short with 29 in 81 games played. No, Plekanec will never be mistaken for a big-time goal scorer, but you can probably make a case that he was clutch. Never was that more evident than at the scene of arguably his biggest career goal in Game 1 against the Washington Capitals to start the 2010 postseason. In a 2-2 overtime game, Plekanec took the puck over the blue line and unleashed a slapper that eluded then-Capitals goalie Jose Theodore to a greater degree than a good excuse for using Propecia. While the game was only the series opener, the significance of the win cannot be overstated. The Habs went on to lose the following three, meaning a loss in Game 1 would have potentially been lethal. Instead, by the end of Game 4, they were still alive, albeit it hanging by a thread, thanks to Plekanecs’ heroics. That set the stage for Jaroslav Halak to steal the rest of the series and lead the Habs to an eventual berth in the Eastern Conference Final. Unsurprisingly, Plekanec earned his highest postseason point total those playoffs with 11 in 19 games. He does sometimes get a bad reputation for disappearing come April, but, statistically speaking, he’s about where he should be based on his regular-season production, with 53 points in 94 total games. Goals like the one he scored against the Capitals are further proof he deserves a little more slack. 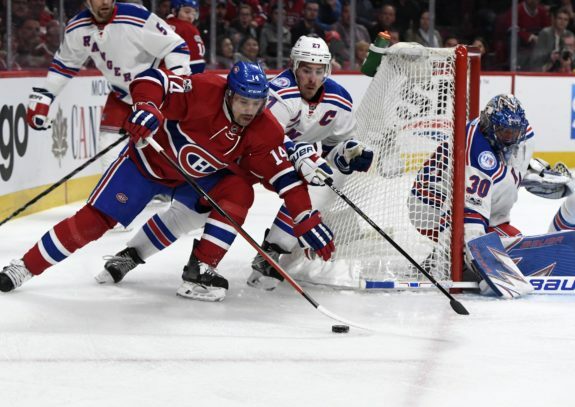 One of Plekanec’s top career moments isn’t a trophy win. After all, he’s been one of the Habs’ better-kept secrets all this time. It’s instead a top-10 finish in Frank J. Selke Trophy voting for the 2013-14 season. The names above him are a veritable who’s who of the league’s top defensive forwards (Patrice Bergeron, Anze Kopitar, Jonathan Toews as the top three for example), so there’s no real shame in placing where he did in his best career finish there. 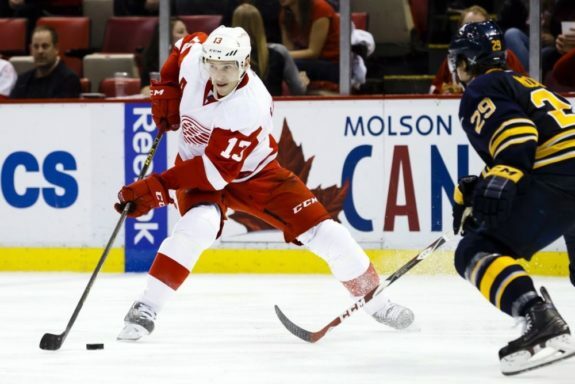 He did however place better than the likes of regular-winner Pavel Datsyuk, albeit as his career was winding down. As Plekanec’s career winds down itself, it’s in all likelihood the most recognition Plekanec will receive from hockey writers in general for his nightly hard work in the defensive zone. It’s still a pretty big accomplishment. It may not be backed up by a shiny trophy, but then again defensive play rarely receives the accolades it deserves. The accolades Plekanec has deserved. Until Plekanec reaches 1,000 games, his 607 total points are the largest testament to his longevity in this league. Of course, that’s not exactly a round number, so it probably makes sense to backtrack a bit to his 500th instead. It was coincidentally his first of 2015-16 in that season’s second game, against the Boston Bruins. To give a little context to the situation, Plekanec ended the previous season successfully with 60 points. It was and would be only the third time in his career he scored that many and he started off 2015-16 on an even greater roll, with 23 points in his first 23 games. It was that hot streak in large part that prompted general manager Marc Bergevin to re-sign him that October to a two-year deal worth $6 million per. Unfortunately, Plekanec’s production fell off a cliff right afterwards. He may have scored 23 points in the first 23 games of the season, but he scored 32 over the final 59. The following season, when the new contract actually kicked in, was worse, as he didn’t even reach 30 points overall (28). The year after, which culminated in a trade to the Toronto Maple Leafs? Just six goals and 26 points, as he was relegated to a bottom-six duty for the playoffs, a role in which he admittedly excelled. That’s in part the point. The last few years may have been incredibly disheartening from a production standpoint, but Plekanec hasn’t slowed down all that much, doing what he does best: playing defensive hockey as one of the league’s better two-way forwards. That 500th point? It was an empty-netter, just like his 100th career goal. That’s probably not all that much of a coincidence. This early season as a healthy scratch notwithstanding, he’s made a career of earning the confidence of those behind the bench to the point he’s almost always out on the ice when the game is on the line. In the process, he’s justifiably earned the respect and admiration of those around him, including most importantly that of all the fans. Plekanec may be known for his goatee and turtleneck, but there’s obviously more to him than questionable style and fashion choices. As the team’s current elder statesman, he’s helping to shape its future regardless of how many games he gets in from here on out. Once he hits 1,000, it will be the games that came before that really matter. And there have undeniably been some pretty good ones.